It’s serious business when you need a rock-drilling machine as big as the JT100 All Terrain directional drill, so you expect some serious power. The JT100 All Terrain delivers, with 100,000 lbs. of pullback supported by a monstrous, 268-hp engine. 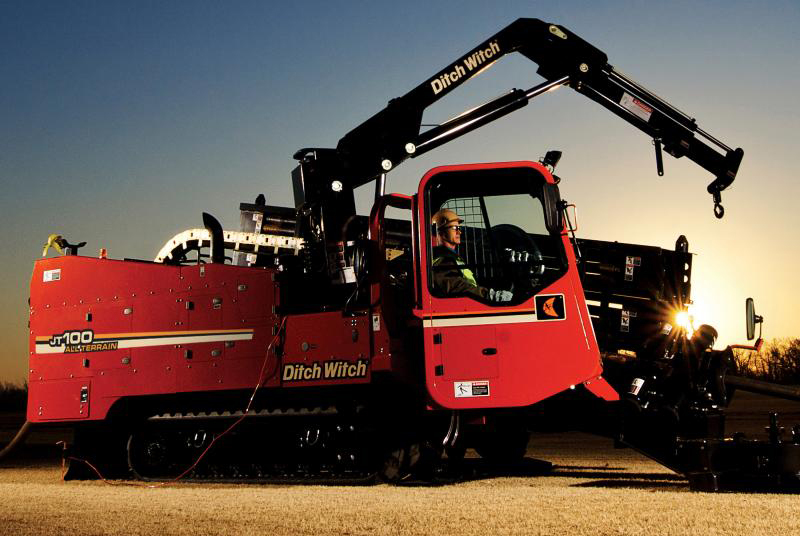 All of this power requires some serious stability, which is why the JT100 All Terrain directional drill is equipped with an exclusive dual-pivot drill frame. 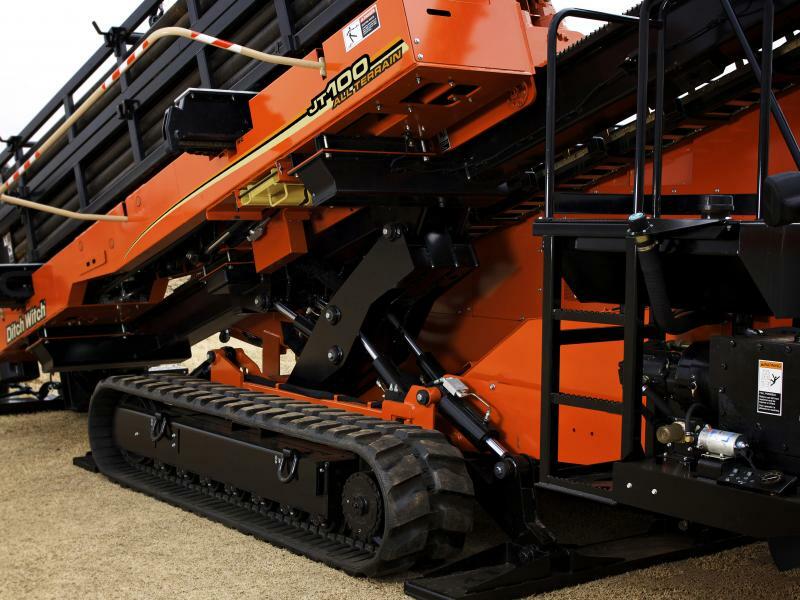 Everything is engineered to maximize the productivity of the machine’s patented All Terrain technology, a two-pipe drilling system that enables you to drill and steer simultaneously. 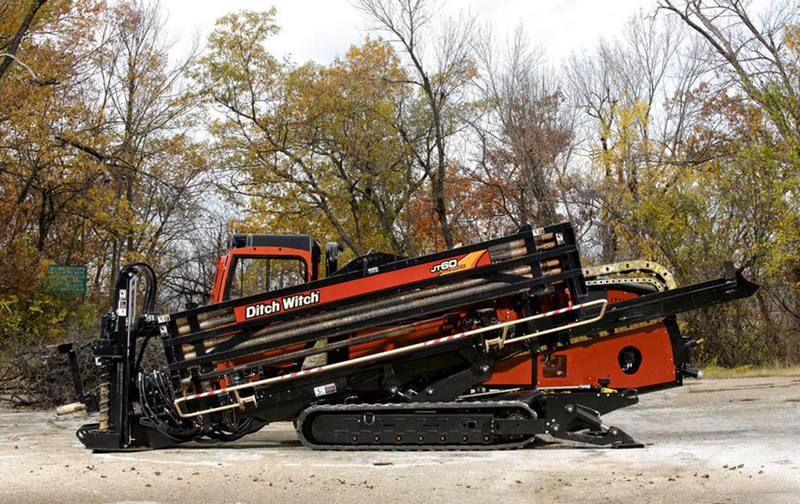 Industry-exclusive, patented two-pipe drilling system provides more power to the bit than any other rock-drilling system in its class. 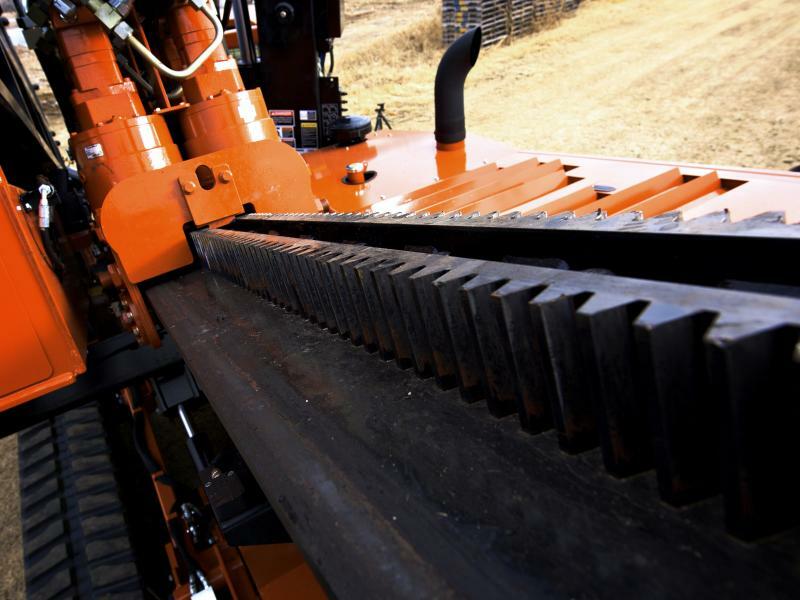 The JT100 All Terrain’s 268-hp engine delivers more raw power more efficiently to all machine functions so the installation can be completed faster. 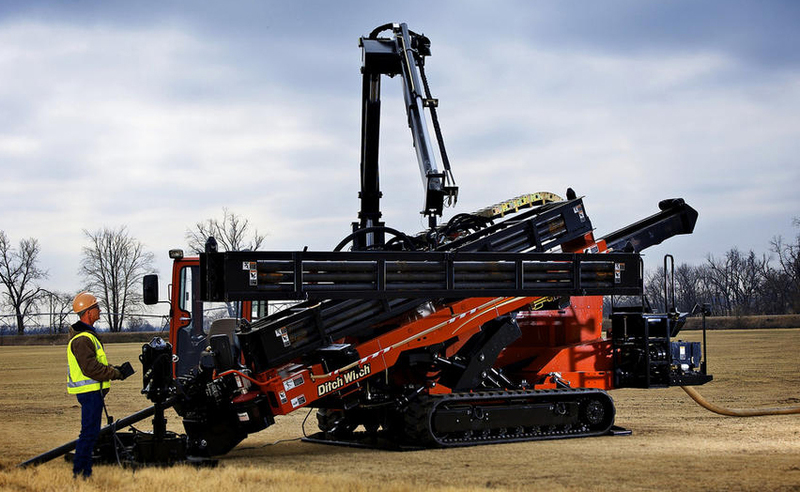 Because big rigs see big downhole forces, machine stability is imperative; the JT100 All Terrain’s exclusive dual-pivot drill frame allows the entry angles you need without compromising stability—or operator comfort—while drilling. 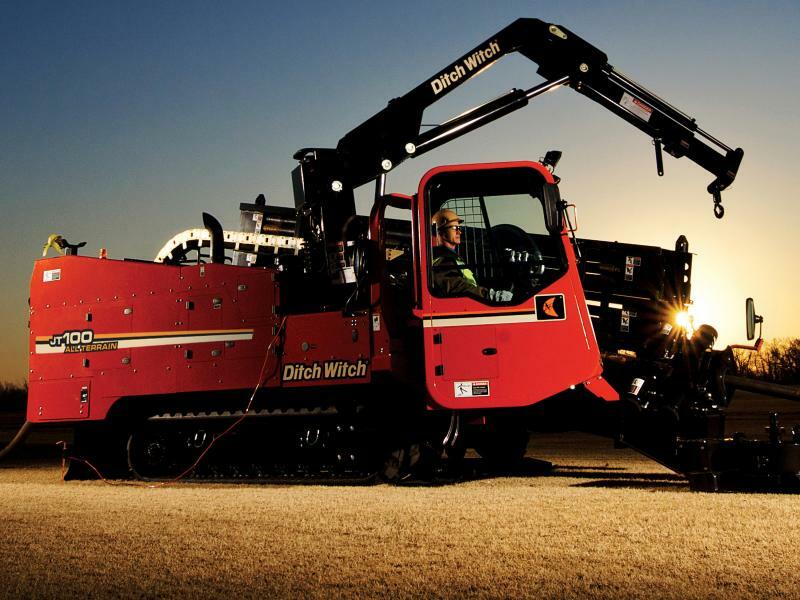 With 100,000 lb of pullback and 12,000 ft•lb of torque, the JT100 is the ideal directional drilling unit for extended-range bores and installations of large-diameter pipe. Optional onboard crane is designed to load and unload pipe boxes, anchor the unit, and handle drill pipe, reducing the need for additional support equipment. 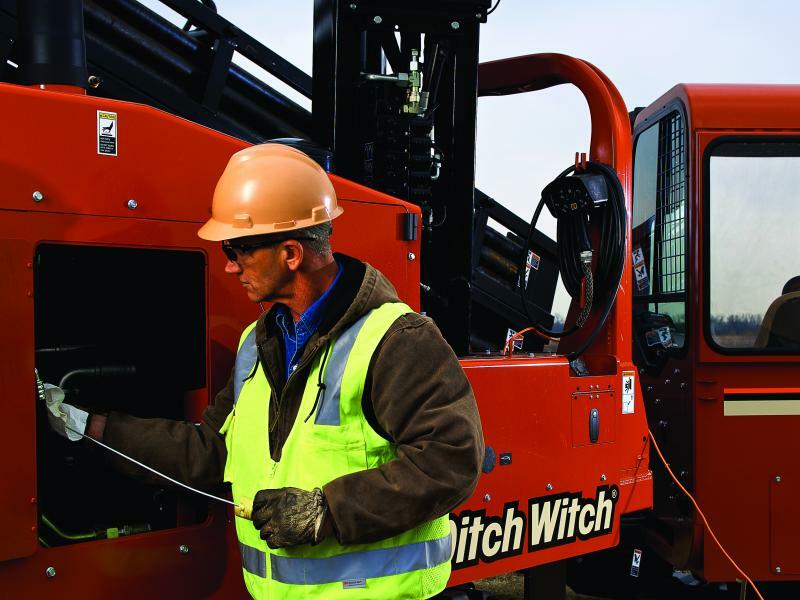 Fully enclosed cab features instrument panel gauges that are positioned for visibility, conveniently placed controls, and an excellent view of the tool joint. 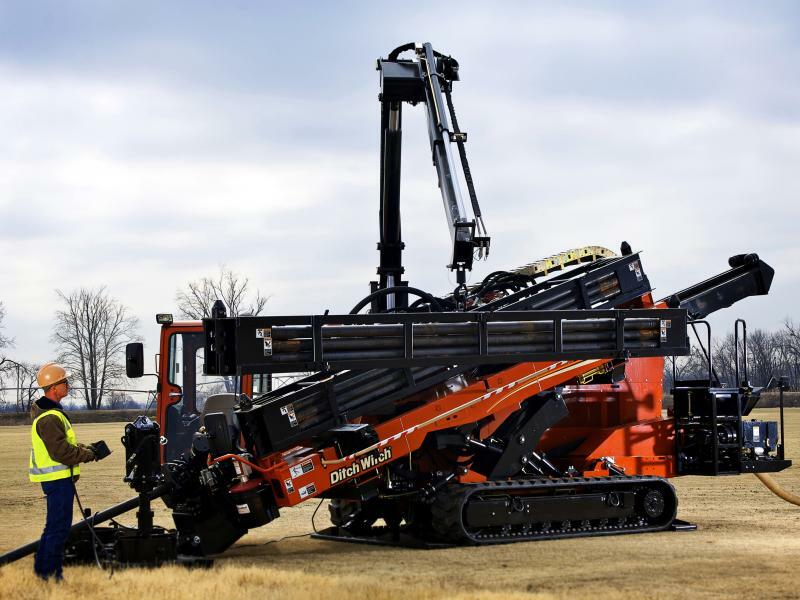 The JT100 All Terrain is the only rock drill in its class that enables the operator to transfer drill pipe from one box to another—and add or remove the upper pipe box—without additional support equipment, so the pipe box is never empty. 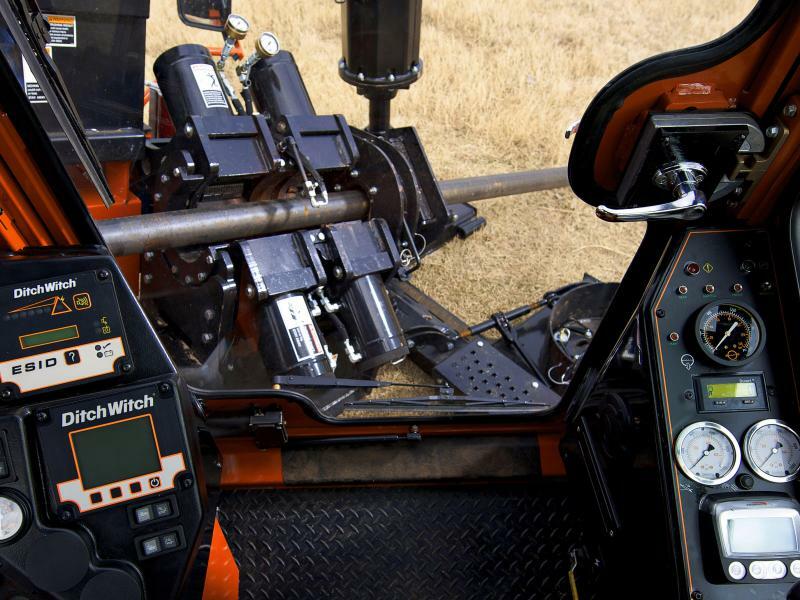 By providing the operator better control when making pipe connections, the JT100 All Terrain’s assisted makeup feature greatly extends the life of your drill pipe—one of your biggest downhole investments. 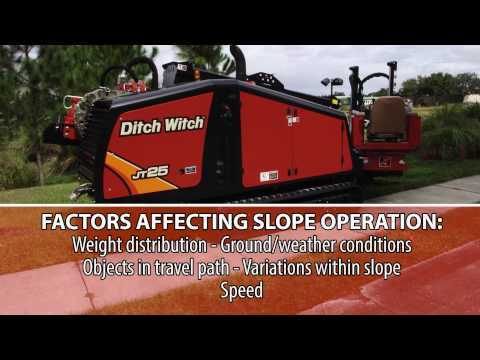 With its infinitely variable rotary drive, the JT100 All Terrain is the only rock drill in its class that can truly match spindle speed and torque to find that “sweet spot” that will power through infinitely varying ground formations. The JT100 All Terrain’s double rack-and-pinion thrust drive is field-proven and heavy-duty enough to push through—and pull you through—the long, tough bores. Large-capacity, 120-gpm fluid pump plus larger hoses and fittings help move fluid downhole faster, for greater productivity; special damping feature reduces the downhole shockloads associated with greater fluid flow.